Leading Manufacturer of medium duty lathe machine, heavy duty lathe machine, industrial lathe machine, bearing lathe machine and heavy duty lathes from Rajkot. 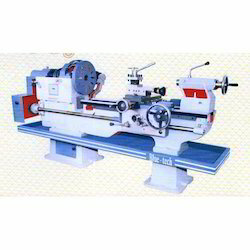 Being one of the leading manufacturers of this Medium Duty Lathe Machine, we produce it using high quality raw materials and various advanced machinery. This product ensures high quality finishing of the output. Made available in various specifications by us, this product is provided to customers according to their requirements. Owing to its high quality and reasonable price, these products have a high demand in the market. We are manufacturers and exporter of Heavy Machine Lathe, which is designed and developed using superior quality raw material, which is procured from reliable vendors. 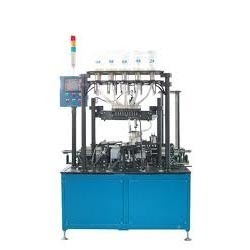 In addition to offering the machines in standard configuration, we also provide the customers with an option of customizing the machines to suit their specific requirements. 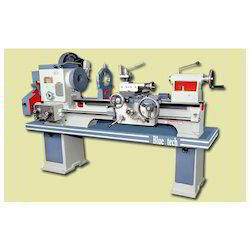 Used for the purpose of internal and external tapering or slotting, this Heavy Duty Lathe Machine is known for the efficiency it provides. This product, manufactured and supplied by us, is provided in the market at a very competitive price, making it a highly demanded product. Along with this, we also provide customization of these products. We, being one of the leading manufacturers of these products, produce them using high quality raw materials. After the production process, these products are sent for a number of quality checks organized by various experienced quality analysts, for the purpose of maintaining the standards. 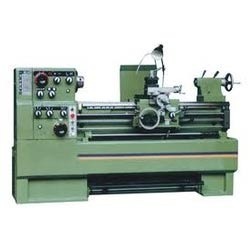 Manufactured using high quality raw materials and a number of high tech machinery, this Industrial Lathe Machine is used for the purpose of high precision cutting of bearing rings, disc type, and mirror axis products. We provide this product in the market at a very competitive price and in various specifications depending on the needs of the clients. These products are highly demanded in the market owing to its quality and efficiency it provides. Known for its high efficiency and durability, this Bearing Lathe Machine is one of the most popular products in the offered range. This product provides a high precision finish to the items reduced from various materials. The product is manufactured using high grade raw materials and high tech machinery, and post production, these products are sent for a number of quality checks as we consider quality to be of the utmost importance. This product, manufactured by us, is provided to the clients in designs specified by them. Manufactured using high quality raw materials and a number of advanced machinery, these Heavy Horizontal Lathe Machine supplied by us are further processed through a number of quality checks, for the purpose of quality assurance. These products are known for their sturdiness and durable construction. The products are used in various industries like furniture, decoration, carving, etc. These products are provided by us in various specifications, depending on the requirements of the clients. 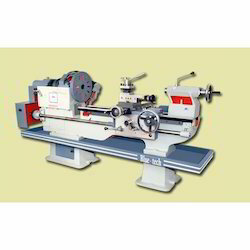 Looking for Heavy Lathe Machine ?